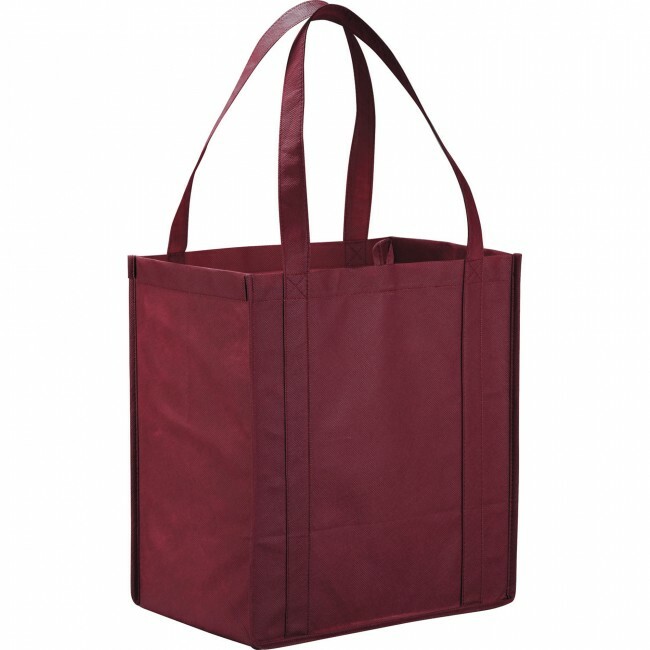 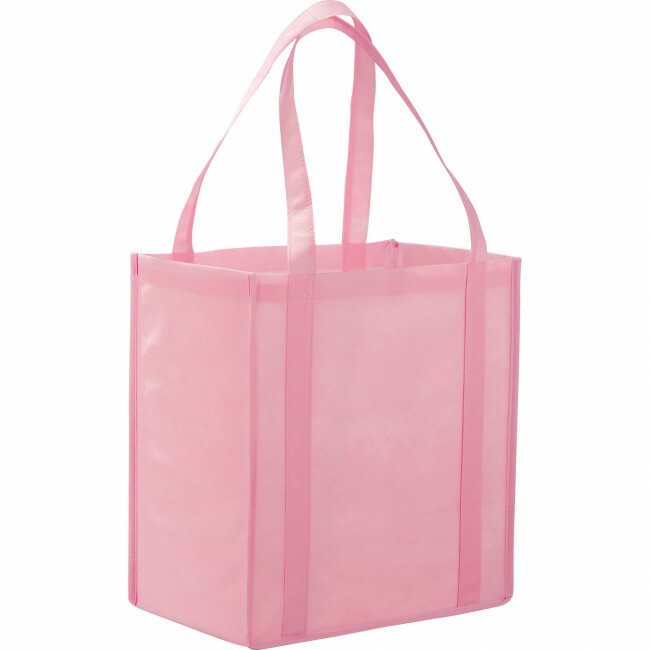 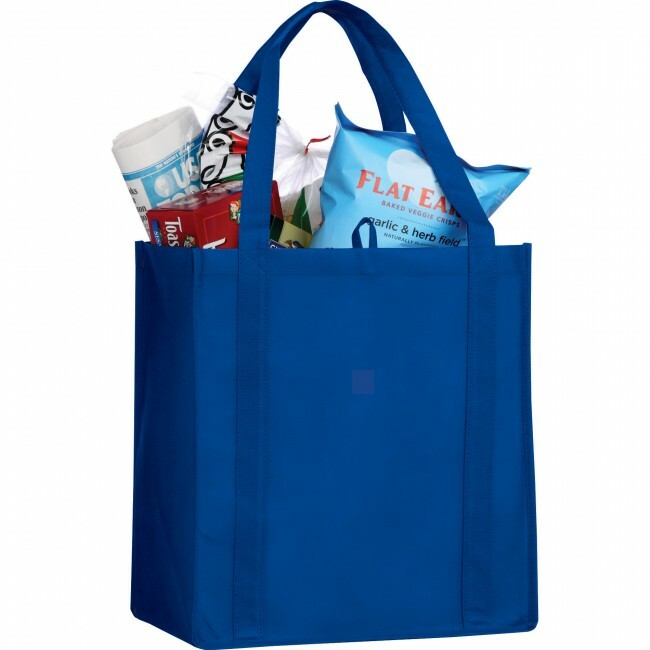 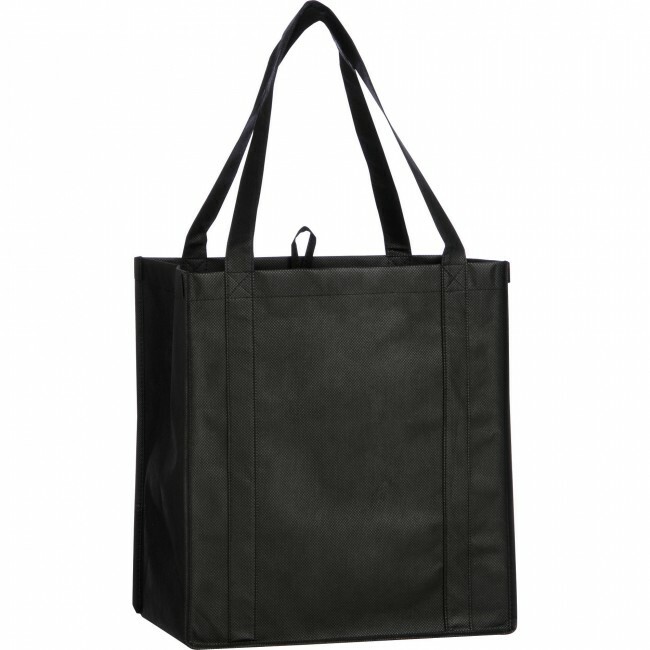 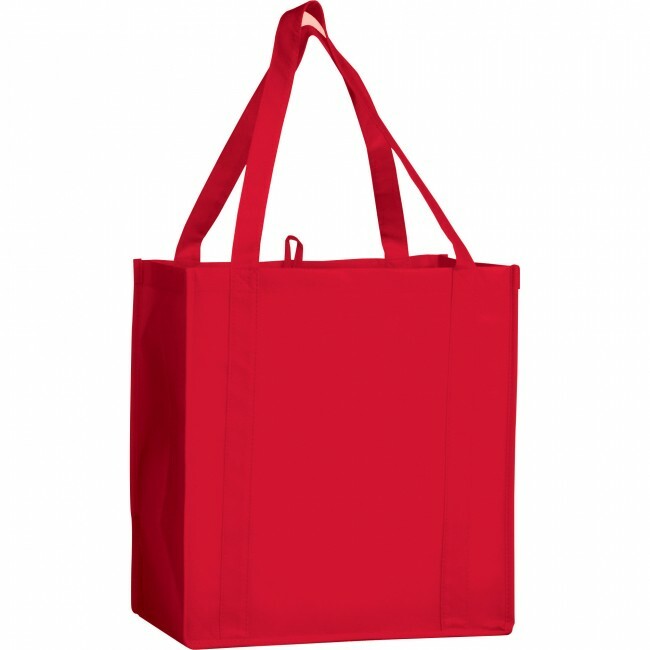 The Little Juno Non-Woven Grocery Tote features an open main compartment with double 22 inch reinforced handles and a supportive bottom board. It's also reusable and a great alternative to plastic bags. 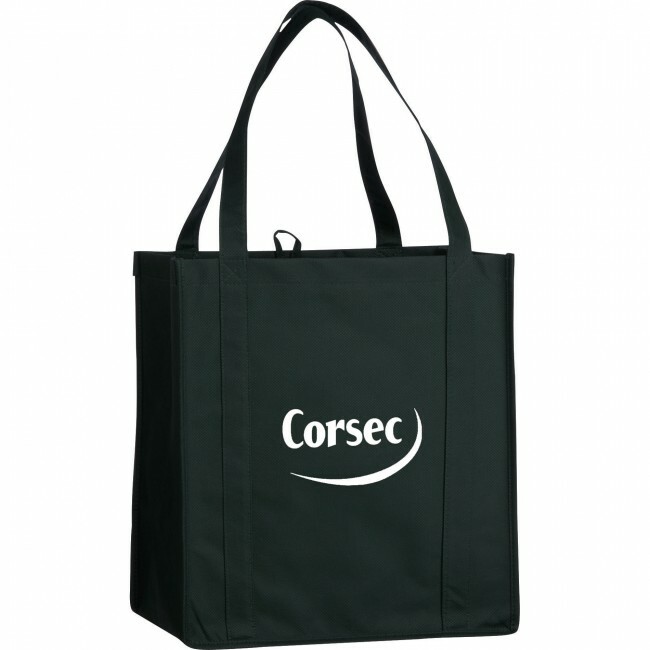 Gusset & Handle Decorating does not qualify for one day turn. 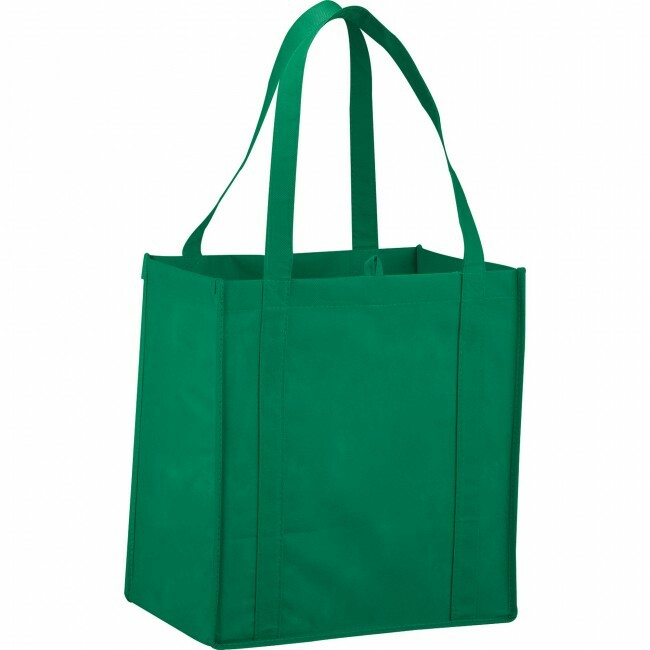 Black, Burgundy, Cream, Green, Hunter Green, Lime Green, Navy Blue, Orange, Process Blue, Pink, Purple, Royal Blue, Red, White, Yellow. 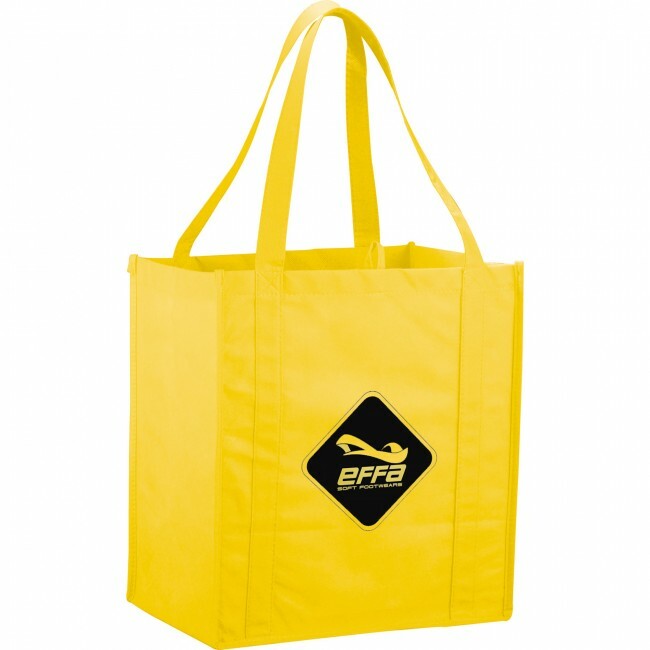 Durable bag that will last a long time. 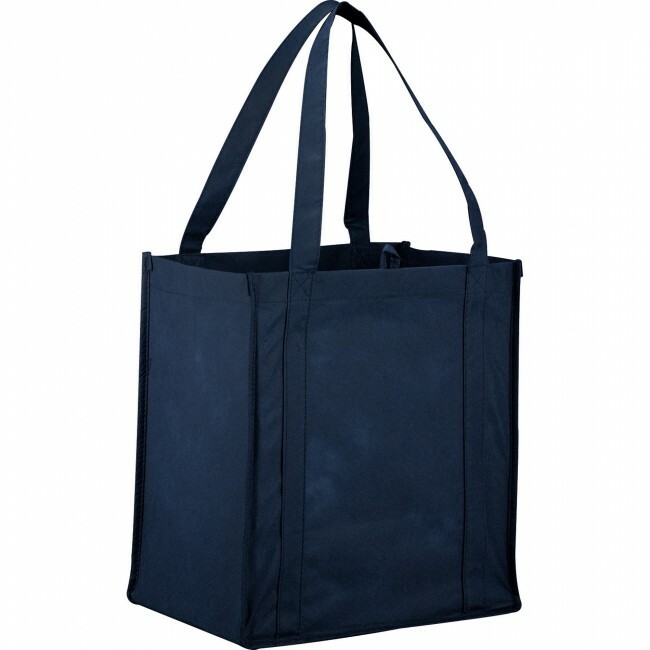 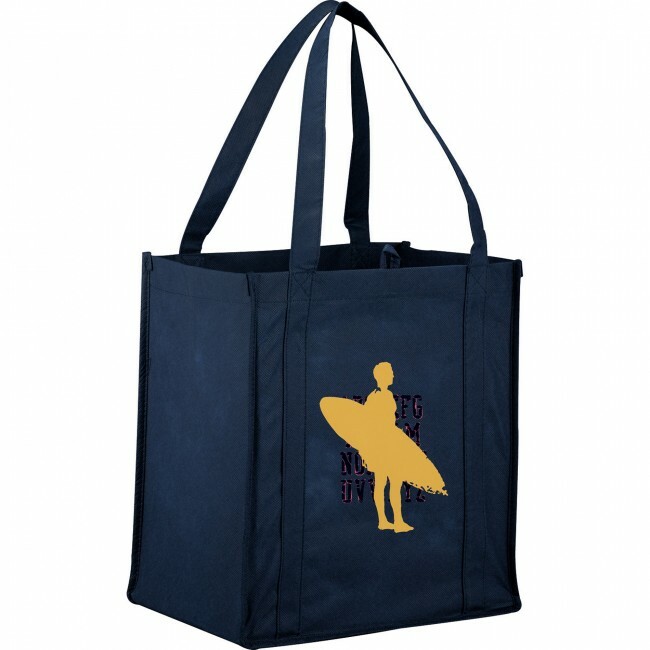 The bottom is reinforced with a board so you can feel confident while carrying your groceries. 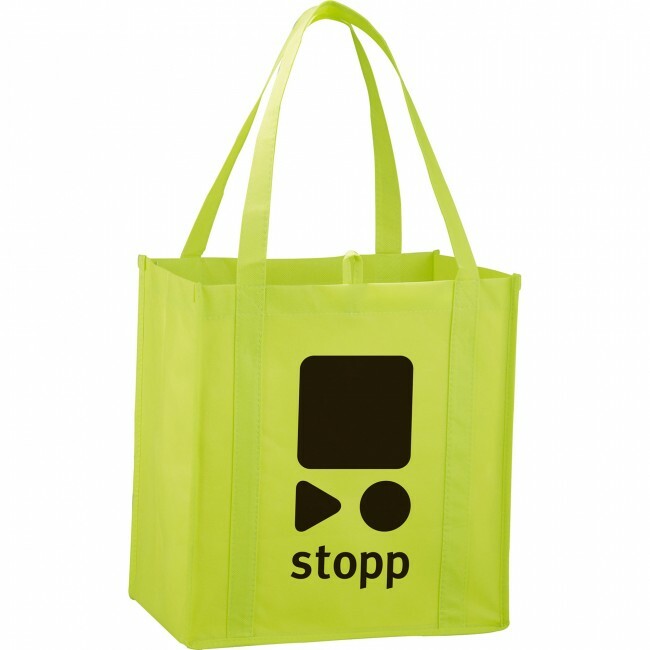 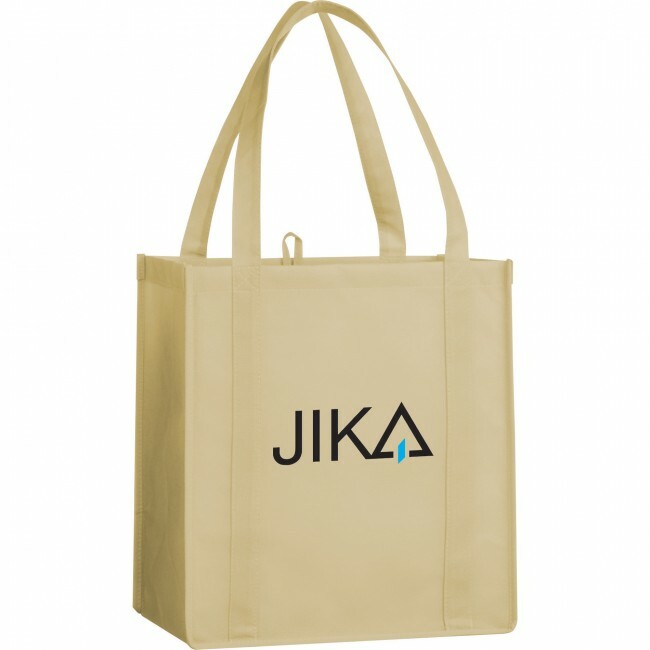 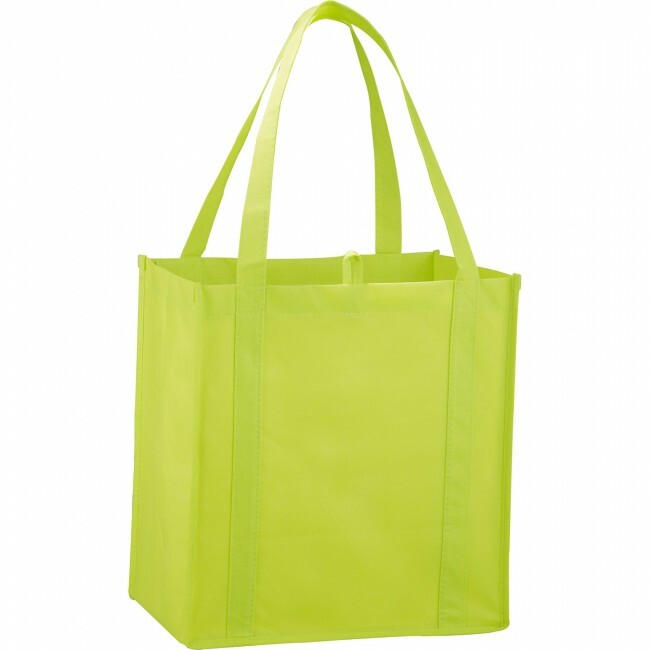 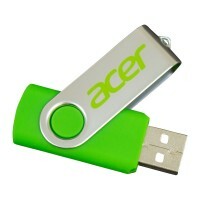 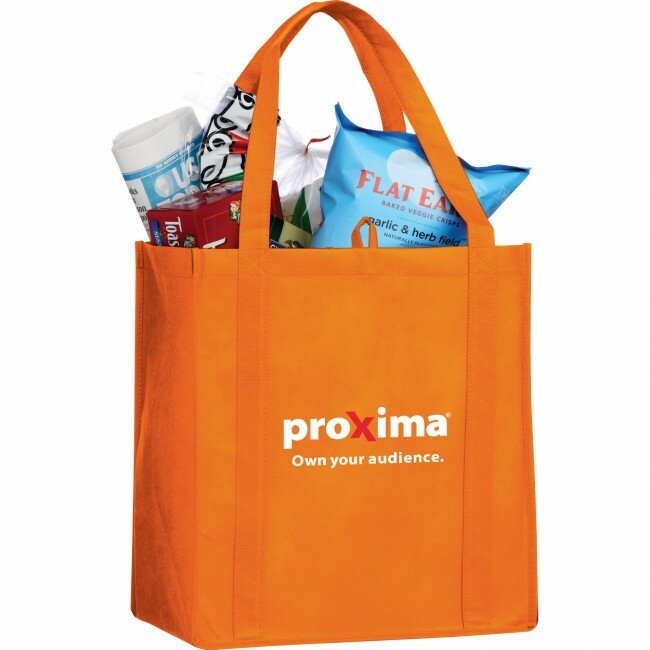 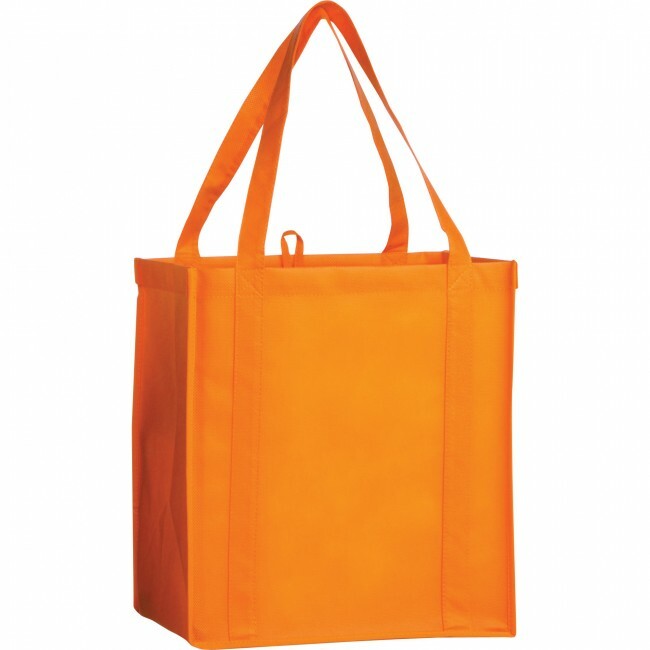 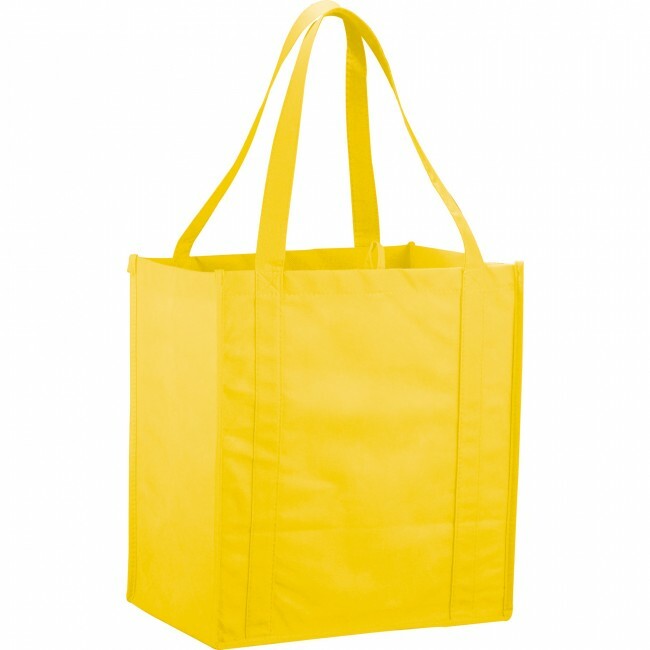 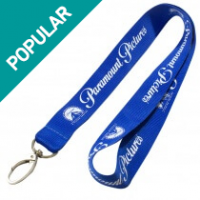 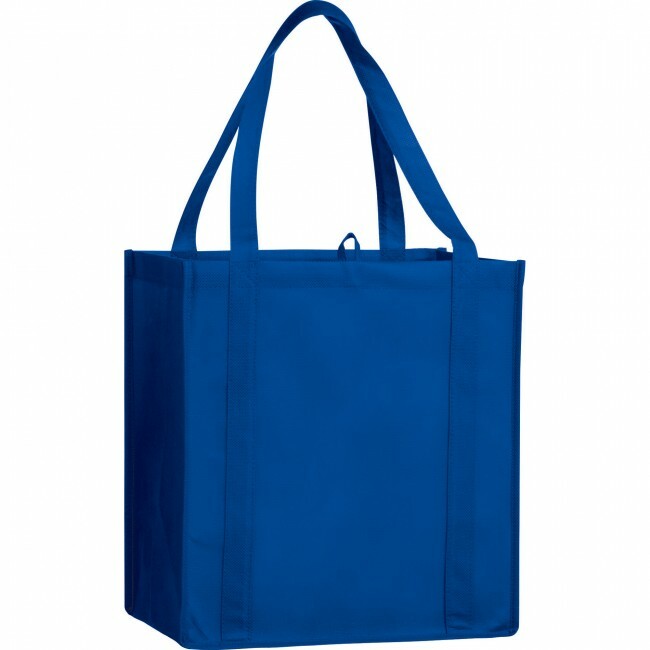 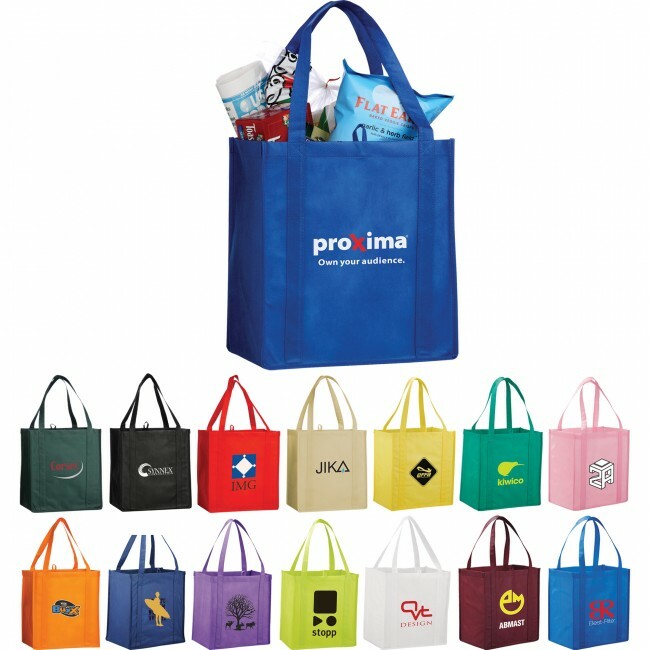 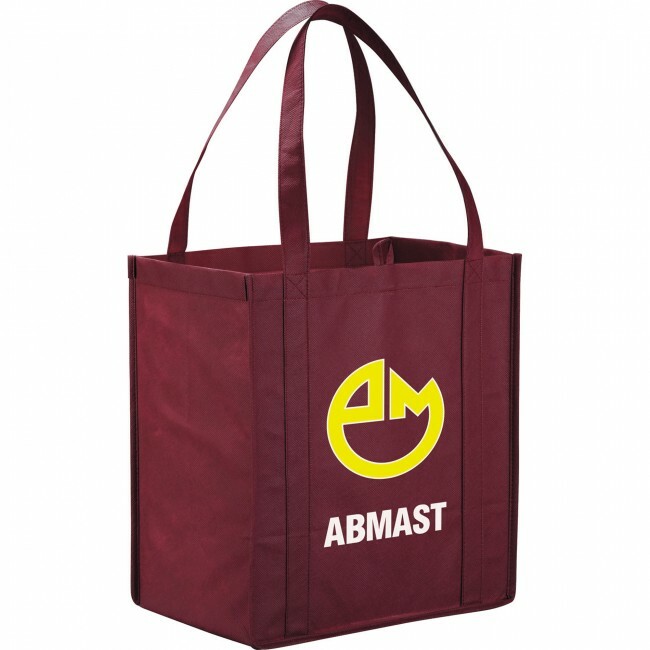 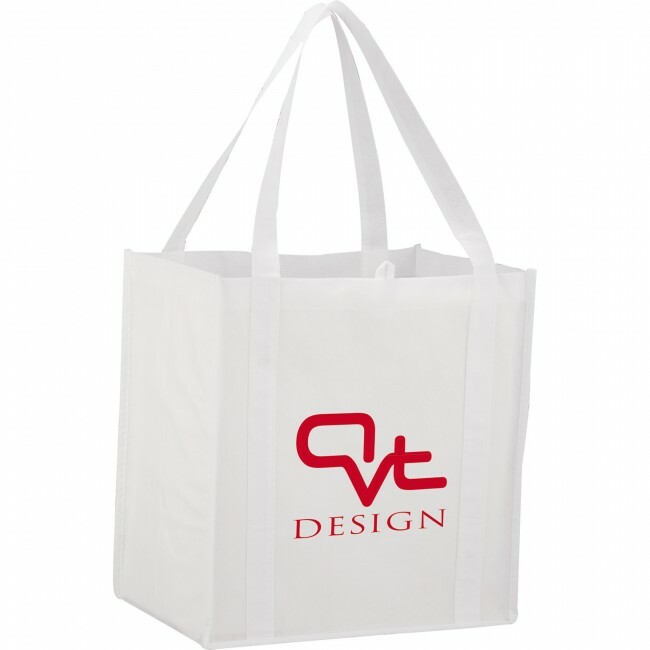 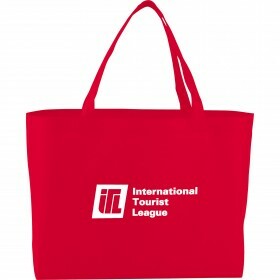 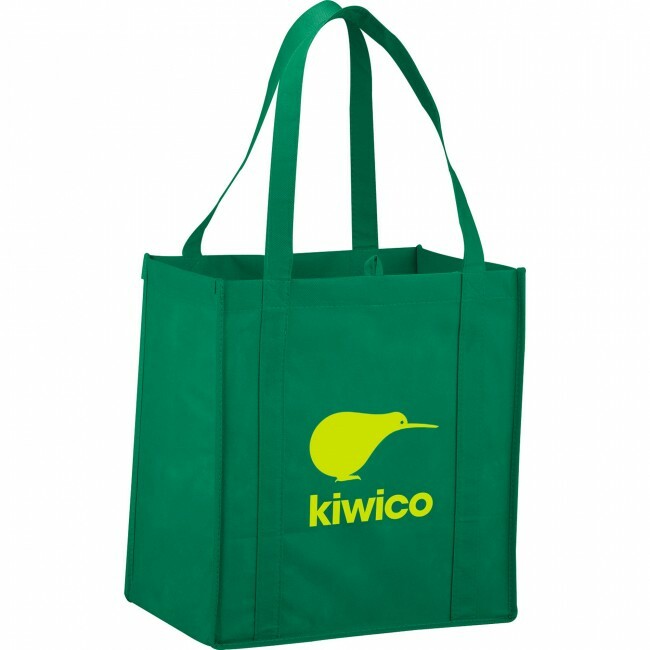 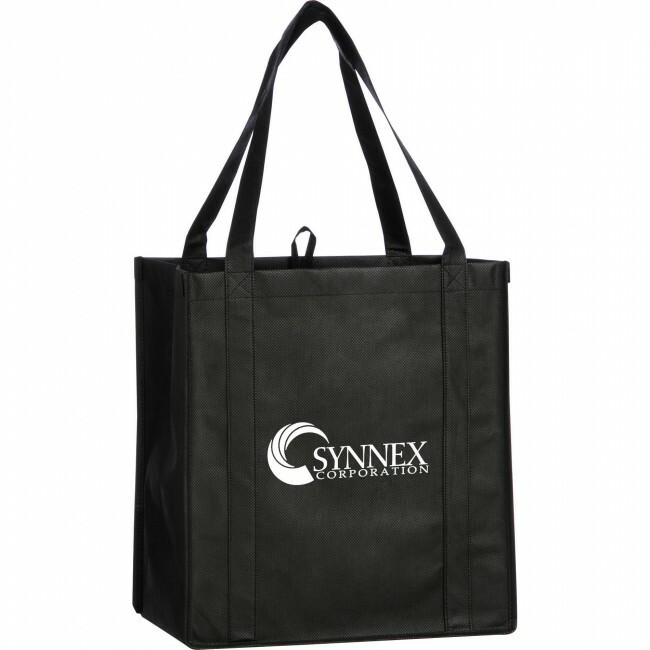 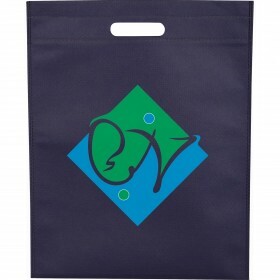 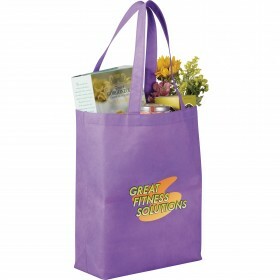 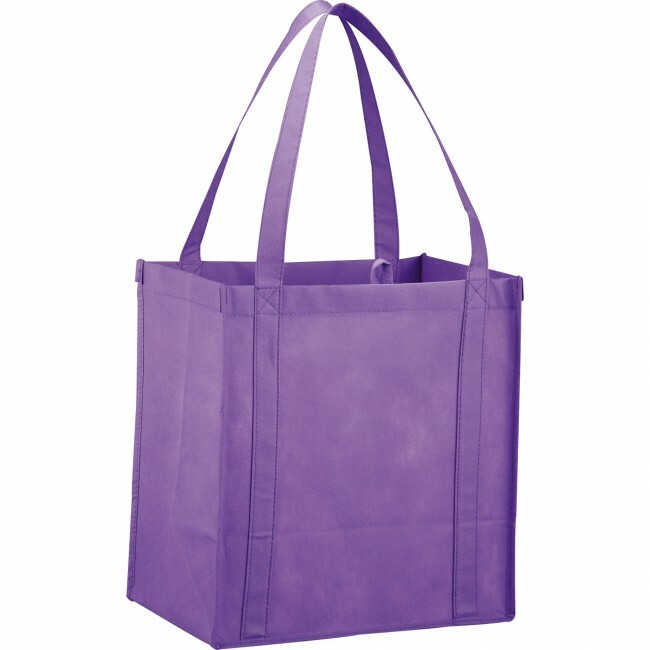 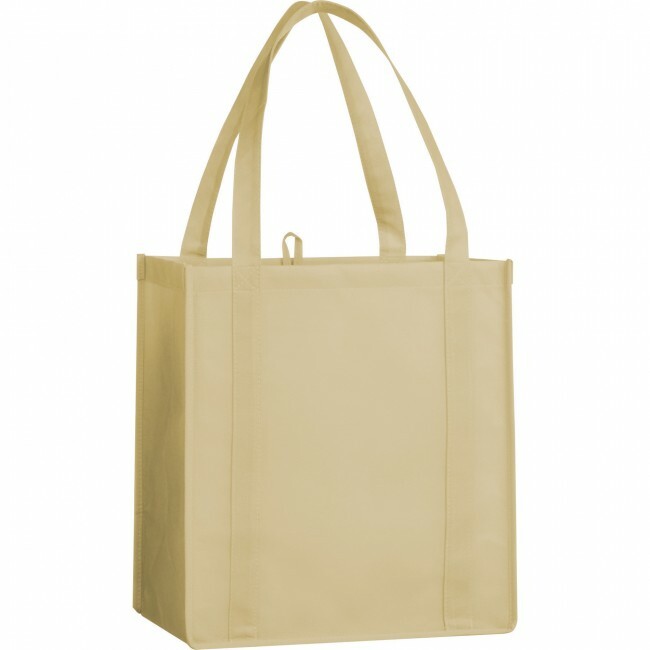 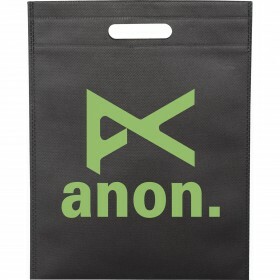 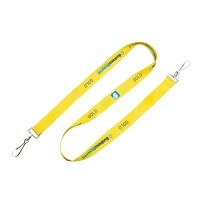 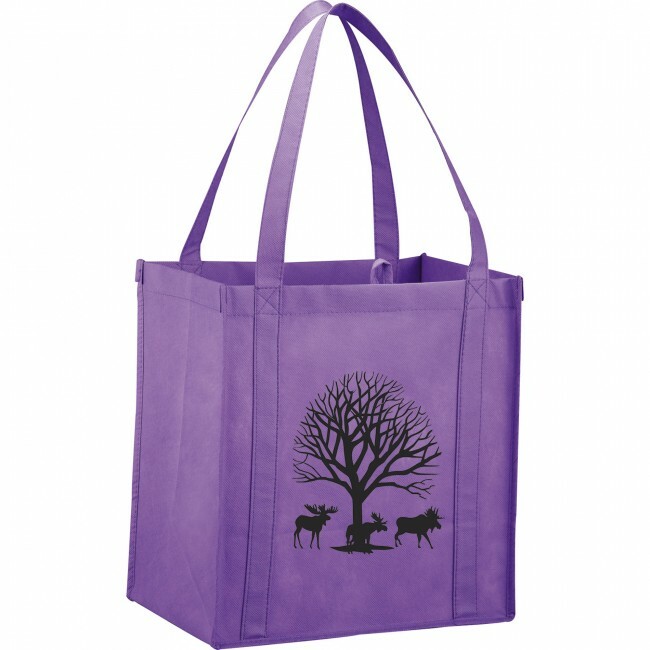 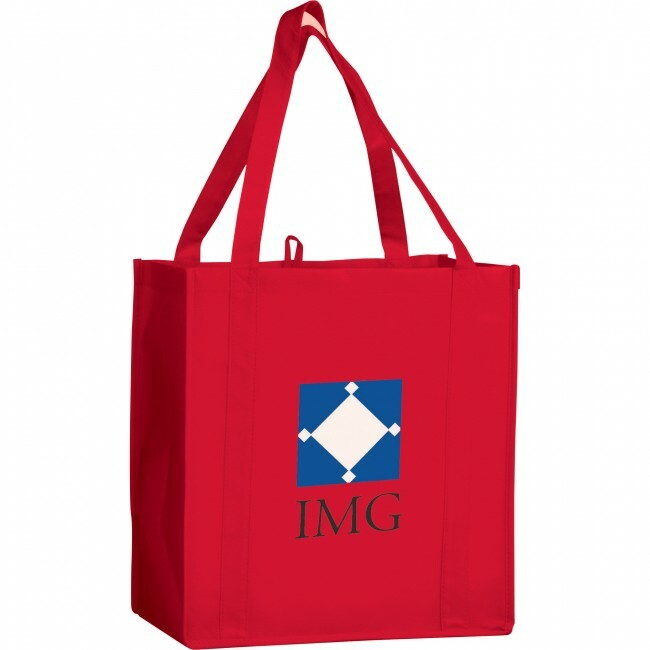 You can print your company's logo on it and hand these grocery bags out during promotional events. 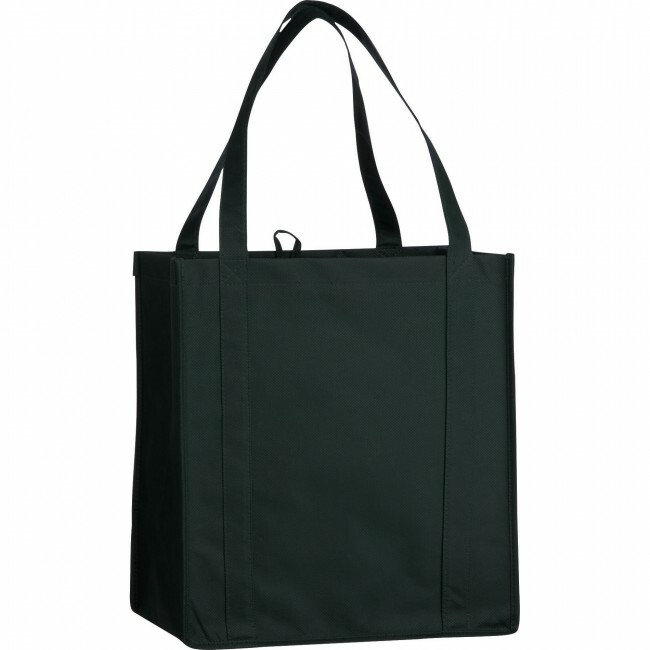 Sturdy enough to stand up on its own and will be strong enough to hold all of your groceries. 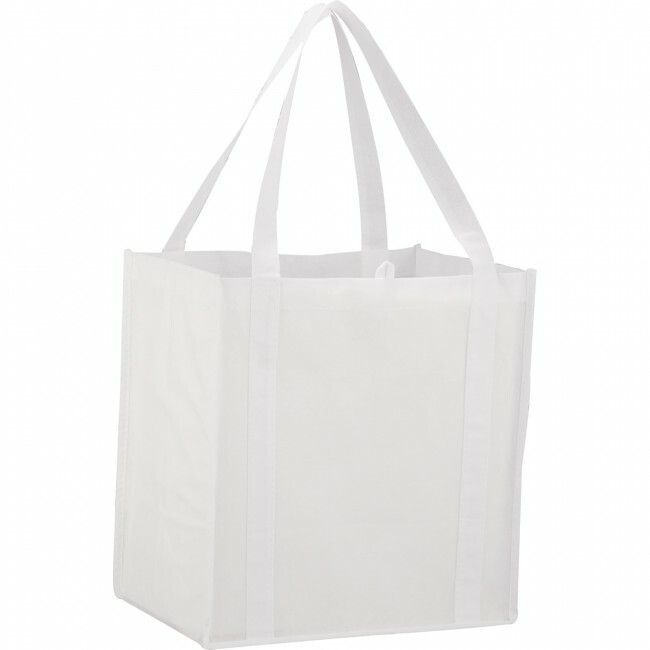 Reusable environmentally-friendly alternative to plastic bags.